I was active in Amnesty International at the time when the International Criminal Court was being debated and we lobbied hard for its establishment. In view of all the obstacles it seemed a minor miracle that it finally gained enough member state support to get under way. It is by no means the universally acknowledged authority that it should be, but it is functioning and playing an important role in the modern world. I was therefore interested to see reported on the NZ Herald website the proposal of a visiting lecturer that crimes against nature, or ’ecocide’, should be recognised as the fifth crime the court should be given responsibility for, along with genocide, war crimes, crimes against humanity and crimes of aggression which make up its current areas of jurisdiction. 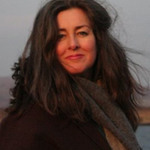 Polly Higgins is the British environmental lawyer who actively promotes the concept. She is currently on a lecture tour of New Zealand and Australia, where she will be a speaker at the Brisbane Writers’ Festival. Her book Eradicating Ecocide was published last year. As reported in the Herald Higgins argued corporations should have a duty of care, or the same responsibility as individuals to behave in their daily lives – without recklessness or harm. She proposed three categories for criminal charges against individuals such as chief executives and energy ministers: unintentional ecocide, ecoslaughter and ecocide. The respective sentences would be equivalent to death caused by dangerous driving, manslaughter and murder. The definition of ecocide she offered was the mass damage, destruction or loss of ecosystems of a given territory, to such an extent that peaceful enjoyment by the inhabitants of that territory has been severely diminished. She suggested the size, duration and impact of ecocide could be measured by the international laws applied during wartime. Ecocide might be invoked if the size of the affected area exceeded 200km in length, had an impact on ecosystems for more than three months and had a severe impact on human or natural resources. I liked her mention of the duty of care, which is a concept frequently in my mind when I contemplate the recklessness of our determination to expand the exploitation of fossil fuels in New Zealand. It was consistent with this that she should suggest lignite mining in Southland and the proposed deepwater drilling in the Great South Basin might qualify as New Zealand examples of ecocide because they would create enormous greenhouse gas emissions. There’s more information on the ecocide concept on her website. And there is a good deal on YouTube of which this interview is an example. I won’t elaborate on or necessarily support the detail of her proposals, but the general concept of international criminal law being invoked to protect the global environment seems to me to be worth upholding. At very least it’s a proposition which deserves an answer. People may scoff at the very idea that so widespread and acceptable a practice as the exploitation of fossil fuels should come anywhere near being considered criminal activity. But last year’s BP Deepwater Horizon oil spill apparently increased interest in Higgins’ proposals. In that case the environmental damage was observable and immediate. Greenhouse gas emissions are more difficult to pin down in terms of direct consequences. And we are all complicit. It would admittedly be difficult to establish a boundary, but surely not impossible. Anyway I’m glad to see someone raising the issue. We desperately need to develop a conscience over continued fossil fuel exploitation. There have been times in the human past when we took for granted practices which subsequently came to be recognised as unconscionable and were made illegal. Slavery is the obvious example. The abolition of the slave trade in Britain and the emancipation of slaves in the US were not easily won battles; indeed the latter contributed to the enormous death toll of the civil war. I don’t find it fanciful to compare the battle to reduce greenhouse gas emissions in the 21st century to those earlier conflicts. The same protestations of economic necessity are made, the same downplaying of the effects on the human victims. One hopes there will be no blood shed over climate change mitigation, but the possibility of climate wars can’t be ruled out. All the more reason for it to be made clear in international law that the heedless destruction of the environment cannot continue to be treated as lawful activity and that big corporations and the politicians who abet them must be held to account if they offend. Higgins is not against corporations, or anti-profit, ’but this is what I’m suggesting to turn around this sinking ship very fast.’ It’s a valuable advocacy.